Improved Recycling Efficiency - LaboACE has smaller internal dead volume that allows for higher efficiency. With non-Diffusion function Recycling system (Patented) - During extended recycling period, the recycled sample in the flow line may diffuse back into the solvent with the danger of contaminating the solvent reservoir. The JAI instruments have a non-diffusion device (patented) that prevents the sample from running back into the solvent line. This is especially critical in obtaining ultra pure compounds. This device also prevents column and detector damages from back pressure. Reliable Solvent Delivery - With over 50 years of experience, JAI has optimized the serial double plunger pump configuration specifically design for recycling applications. Improved layout - Manual injector is mounted outside of the body. Up to 2 manual column switching valves can be added depending on the column configuration. Maintenance such as seal exchange becomes easy. The pump and the detectors are also easily taken out by opening the front panel. Auto calculation for right fraction timing - The time difference between detection and actual fraction will be automatically calculated and programmed. You can be absolutely sure about what you see on the monitor is what you have collected. LCD Touch Panel -5.7 inch touch panel screen allows intuitive operation of the instrument by users from injection to fraction collection. 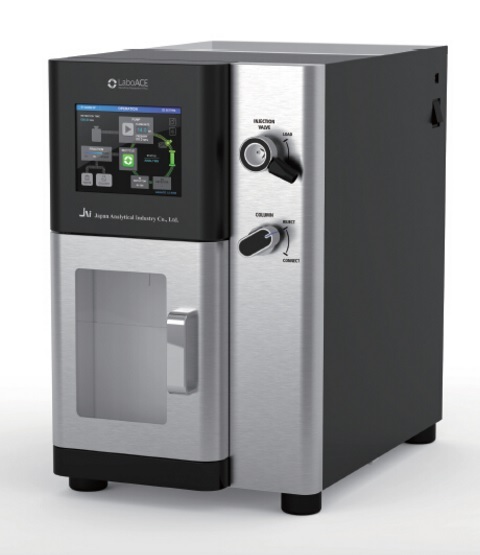 Compact Body - the compact design of the LaboACE allows it to fit inside a fume hood. Any escaped organic solvent is safely removed, allowing for excellent operator comfort and safety. 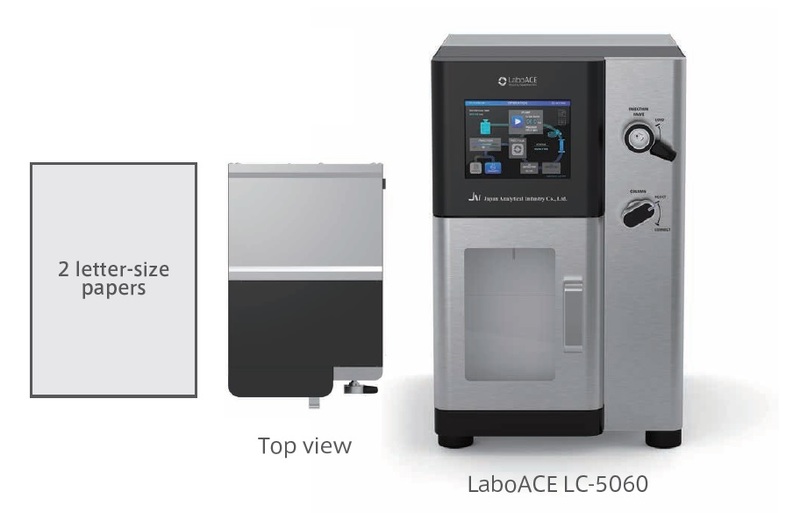 JAI LaboACE LC-5060 brochure download for more detail technical information. Up to two detectors can fit into the LaboACE LC-5060 series. The recommended configuration is UV-VIS4ch LA and RI-700 LA detectors. LaboACE is compatible with all commercial preparative HPLC or GPC columns, i.e., JAIGEL columns.